I've been a baking FIEND lately! I see all these different kinds of desserts on pinterest that look so deadly and crazy, and I just think "I CAN HEALTHIFY THAT!" Isn't it stunning and beautiful?! 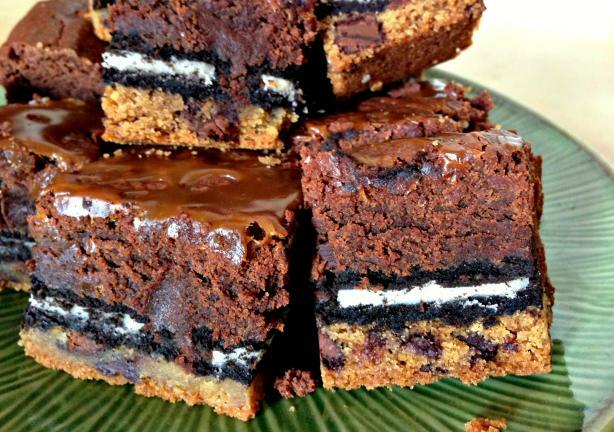 They actually use oreos for the normal slutty brownies, but since I'm a nutbutter addict, I used Peanut Butter whaaaaat! But of course, feel free to do what your heart desires! 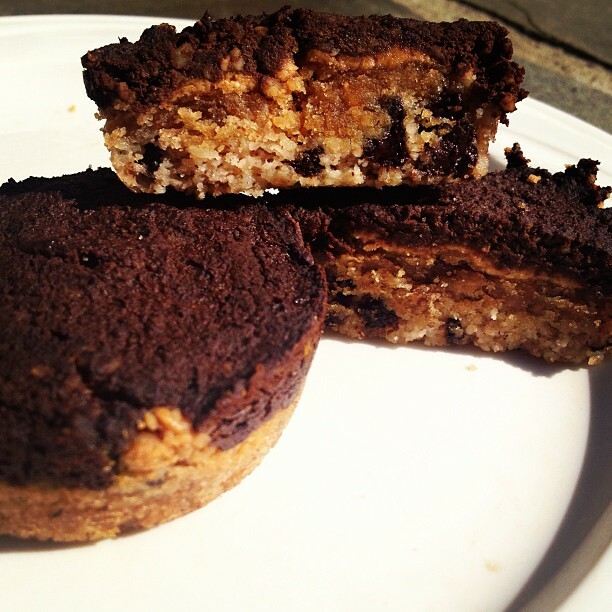 You could even plop in one of my Quest Bar Oreos if you wanted to! oh me oh my and SCRUMPTIOUS. And here's the recipe! -then press brownie batter on top of each! Do you think it would turn out/taste the same if I used two tbs mashed sweet potato instead of the pumpkin? aw ahhaha thanks! i think that'd be fine! Do you have any idea what the nutritional value is? How should we adapt this for a baking sheet size serving?